Fab pics! loving your mani! cute instagram shots - love the purple nails! Instagram looks like such a fun way to share photos! When I get a new phone I will finally be able to have that program! Those greek outfits look so cool! cool photos! Will definitely check your IG account. 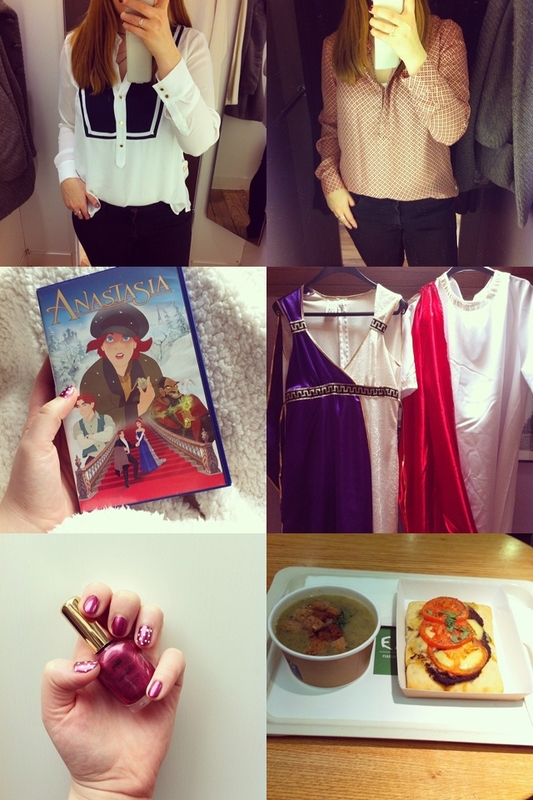 I love anastasia movie soooo much!! Gorgeous shots, loving those two blouses. Did you end up getting them? Great pics! The black and white blouse looks beautiful! That first black and white shirt is so chic, lovely manicure! Happy Monday Darling, hope its an enlightening one. Nice. Your first top is beautiful. i like the nails with the thin white arc close to the cuticles. i'd try it but i don't know if i have a steady enough hand...maybe i need to use those stickers!